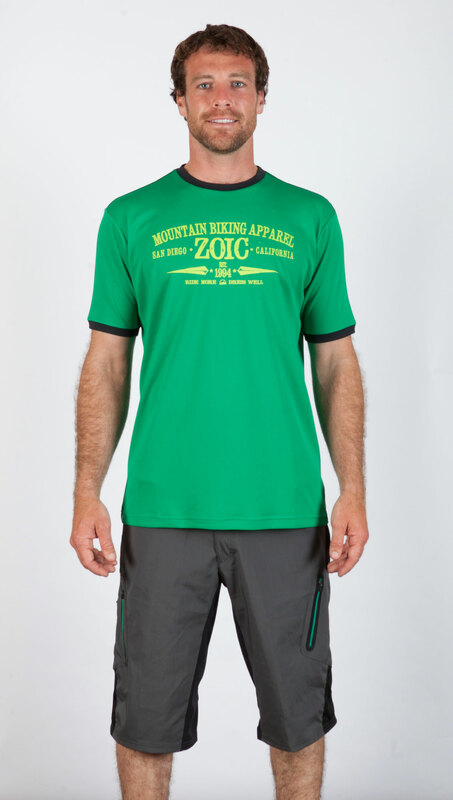 CARLSBAD, CA — ZOIC Clothing has been the style of cycling for 20 years and the brand’s 2014 spring/summer collection reasserts its stated mission to inspire people to ride more and dress well. New looks from ZOIC adhere to the brand aesthetic of clean, casual design, supercharged for the upcoming season with bright new colors, plaids and prints. To engage dealers ZOIC has an exciting lineup of promotions slated for OutDoor Demo in Boulder City, NV (Sept. 16-17) and Interbike in Las Vegas, NV (Sept. 18-20) that will showcase the styles, fabrics and features of the 2014 Collection and the appeal of ZOIC to the broad base of cycling consumers. 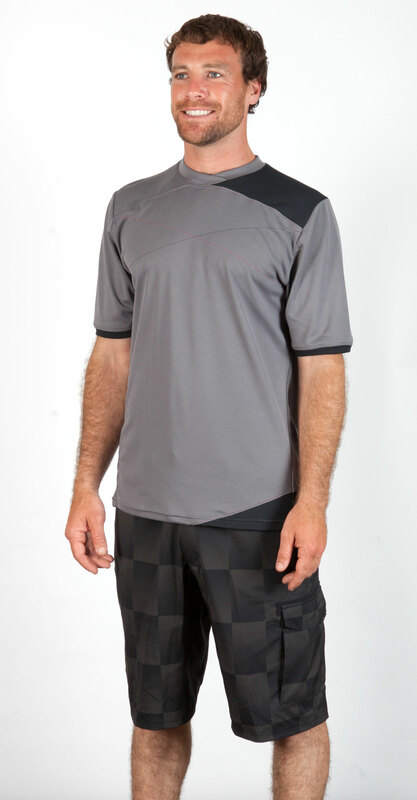 The ZOIC 2014 Collection builds from the core strength of ZOIC since the brand’s inception, relaxed-fit shorts with interchangeable liners for mountain bikers, commuters and roadies-gone-rogue. 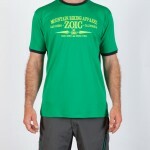 In a grouping called naturally Core, ZOIC presents its best-selling shorts, jerseys and tech tees for both men and women. Updates for men include the new Ether Stretch, a lighter weight, four-way stretch fabric version of the brand’s most popular men’s shorts in five colorways including red and green. Women’s Core showcases three new plaids for shorts, while tees, tanks and jerseys are brightly colored and imprinted with a new Henna design. Ladders, Drops, and Berms, Oh My! For downhill, freeride and enduro enthusiasts ZOIC will offer expanded options in 2014 under its Gravity category. Men’s shorts include the bold new Revelry, ranging from subtle solids to popping plaids, as well as the Ether Stretch LT, a long-travel 15” inseam version of the company’s best-seller in exclusive DuraStretch™ fabric. Women get an all new gravity option – the JuJu shorts – with a 14” inseam and wider leg openings for better mobility and to accommodate pads, in two solids and three exciting plaids that coordinate with two three-quarter sleeve tee options. ZOIC was born in the Marin Headlands yet grew up on the streets of San Francisco, so the brand has always maintained an urban sensibility. The ZOIC men’s 2014 Urban category leverages this heritage to present a clean, crisp assortment for the city-fied cyclist. New techno Transfer Shorts join the successful Grove Shorts, Reign Knickers, and Black Market Convertible Pants, while three tech tees and a sharp new snap-front woven shirt, the District, top off the men’s side. Meanwhile the women’s Urban category is chock full of dresses, skirts, tees, tanks, tights and knickers in eye-catching original designs, fabrics and colors. The ZOIC tent at OutDoor Demo and booth at Interbike will come alive with the sounds of a Style Revival. ZOIC is offering dealers the opportunity to upgrade their cycling style by trading in any competing brand’s shorts in any condition to get a brand new pair of Black Market or Ether shorts valued at up to $85 for only $20. Dealers will also be selected at random for a Style Revival ChangeUp, in which they will be given a full ZOIC outfit to change into on the spot. ZOIC will once again offer changing stations at Outdoor Demo for any attendees to gear up or wipe down before and after rides. And finally, ZOIC will be hosting a 20th anniversary celebration on the first day of Interbike; more details will be released when confirmed. ZOIC can be found on the dirt at OutDoor Demo and at Interbike booth 10128. ZOIC is the style of cycling. For 20 years we have been fusing performance fabrics and technical features into comfortable clothing for anyone who enjoys life on a bike. We produce a complete line of men’s, women’s and kids’ apparel for mountain biking, recreational riding, bicycle commuting and more. To see the complete ZOIC collection visit www.zoic.com.